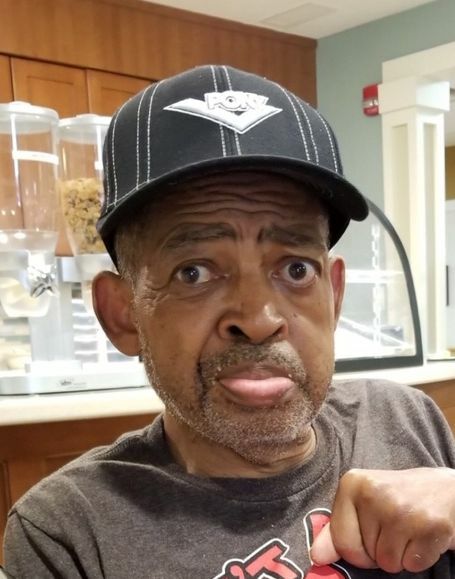 Obituary for Frede Edward Williams | Jones Clark Funeral Home, Inc.
Mr. Frede Edward Williams, age 70, passed from this life on Saturday, February 2, 2019 at approximately 2:47 p.m. at Lima Memorial Health Systems in Lima. He was born on October 1, 1948 in Cleveland, Ohio to the union of Otha Lee and Ruth J. (Wardlow) Williams, Sr., both parents preceded him in death. Mr. Williams retired from General Motor Corporation and was a Veteran of the United States Army. He was a member of the U.A.W. Local Union 211. He Loved to attend car shows and going fishing. He enjoyed sports and watched all sports. He leaves to cherish his precious memory a daughter; Vonetta Parrish-Gardner (Plummie, II) of Lima. 6 grandchildren; Keoinna, Latasha, Latricia, Nikki, Plummie, III and Omarion. 8 great-grandchildren. 4 brothers; Kenneth R. Williams, Brad A Williams (Neia) and Mikel L. Williams all of Columbus, OH and Herbert T. Williams (Pam) of Lima. A sister; Esther Holland of Columbus, OH. A host of nieces, nephews, other relatives and friends. He was preceded in death by 2 brothers; Otha L. Williams, Jr. and Johnny L. Williams. Home Going Services will be held Saturday, February 9, 2019 at 10:30 a.m. at the Chapel of Jones-Clark Funeral Home, Inc. with Rev. Calvin Montgomery, officiating. Visitation/Wake will be held on Friday, February 8, 2019 at 3:00 p.m. until 7:00 p.m. with the family present from 5:00 p.m. to 7:00 p.m. also at the Funeral Home.